Kemosabe Records singer-songwriter Christian Burghardt gained prominence while touring with Phillip Phillips as his supporting act late last year. After being signed by Dr. Luke Christian released a 5-track EP titled ‘Safe Place to Land’. He has also most recently wrapped up a series of tours with Aloft Hotels. 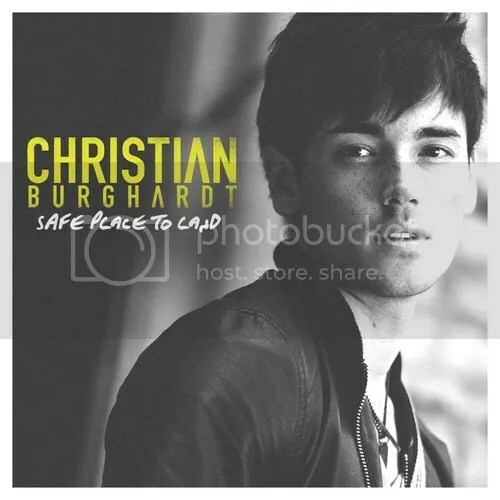 ‘Safe Place to Land’, the title track off Burghardt’s EP, is an ‘uplifting, anthemic song about letting someone know you’ll always be there for them’. The video was released recently and stars Quincy Davis who plays Burghardt’s opposite in the video, as well as, pro-surfer Bruna Schmitz. Burghardt is currently in the studio writing and recording his debut album which is set to be released later this year. Among the songwriters and producers he has worked with include Gregg Wattenberg (Train, Phillip Phillips), Derek Fuhrmann (Phillip Phillips, O.A.R. ), and Josh Grant (Shawn Mendes).